November 9, 2018 By David A. The latest college basketball futures board has good news for Duke. 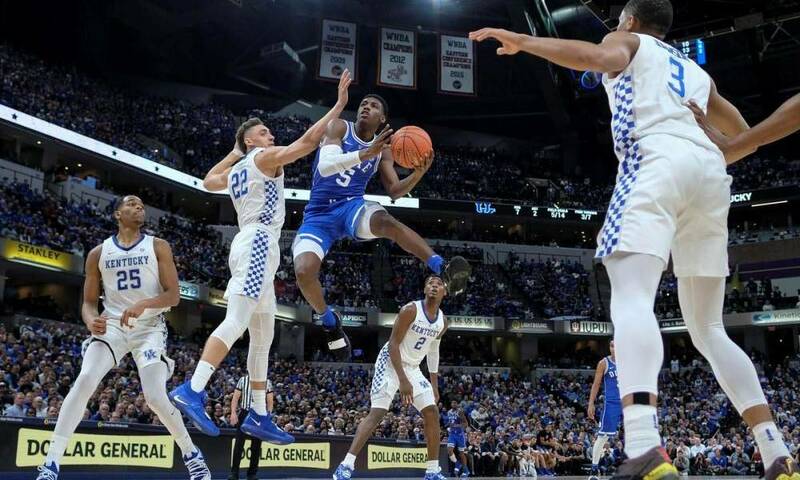 College basketball started it regular season this week and after just three days of the schedule odds makers have already made adjustments to their futures boards for the national champion, following the outcomes of a few games involving top ranked schools. The Duke Blue Devils opened their regular season with an impressive win over the Kentucky Wildcats and moved from a +450 favorite to +300. The top five teams in the country on most sportsbooks as of November 8 were Duke +300, Kentucky +550, Kansas +950 and Nevada and Gonzaga at +1000. Want $250 to bet on NCAAB? Duke was No. 4 in the AP to start the season but odds makers made them the top betting choice. The Blue Devils faced a tough challenge beginning the season against No. 2 ranked Kentucky in both the AP and futures boards. Duke did not disappoint. On the contrary, the Blue Devils opened a few more eyes with a 118-84 rout of Kentucky. R.J. Barrett, who is considered a possible overall No. 1 pick in the NBA draft, led the Blue Devils with 33 points. The Blue Devils will not meet any more ranked teams until early January when they start conference play in the ACC, which means Duke is likely to remain at the top of the futures board until at least then. Kansas enjoyed much success last season reaching the Final Four before falling to the eventual national champion Villanova Wildcats. Kansas is currently ranked No. 1 in the AP, while odds makers have the Jayhawks at +950. 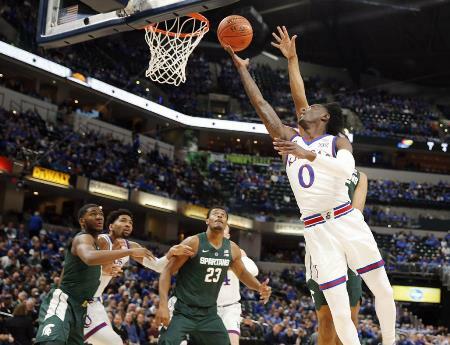 Kansas defeated Michigan State 92-87 to begin the season with the help of Quentin Grimes one of the team’s three McDonald’s All-Americans who played very well scoring 21 points. With a strong showing last season and a lineup of former high school All-Americans, Kansas at +950 has strong value at this point in the season. With the likelihood the Jayhawks will continue to win during the early part of their schedule, their odds should get shorter and will have less value than at their current +950. If dark horses are to your likely, the Nevada Wolf Pack at +1000 is a solid choice. The Wolf Pack has three stars in twins Caleb and Cody Martin and Jordan Caroline. Ranked as high as No. 6 in the AP poll to start the season, the Wolf Pack are relatively unknown to many sports bettors due to playing in somewhat of obscurity in the Mountain West Conference.